M48 Kommando 24-Pc. Ultimate Survival Kit | BUDK.com - Knives & Swords At The Lowest Prices! 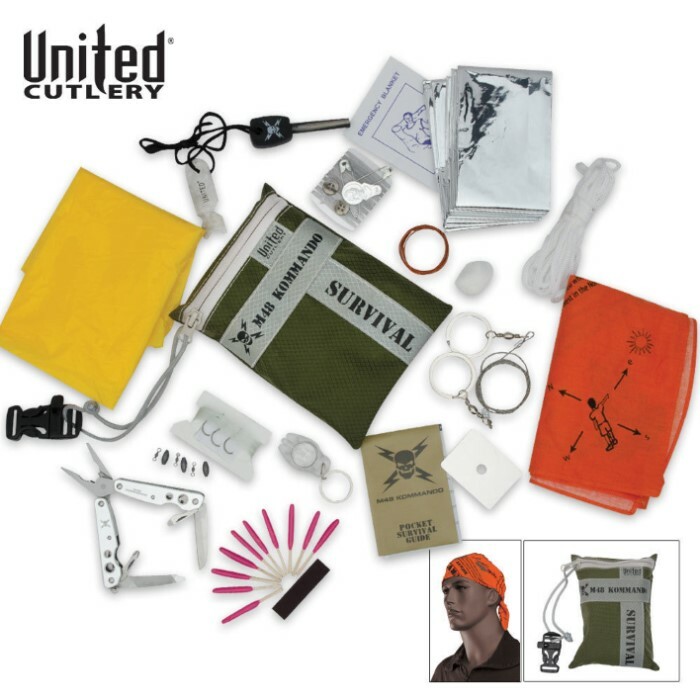 This Ultimate Survival Kit contains hand selected items by a seasoned survival expert. Each of the 24 survival items was included for specific purposes in survival situations. 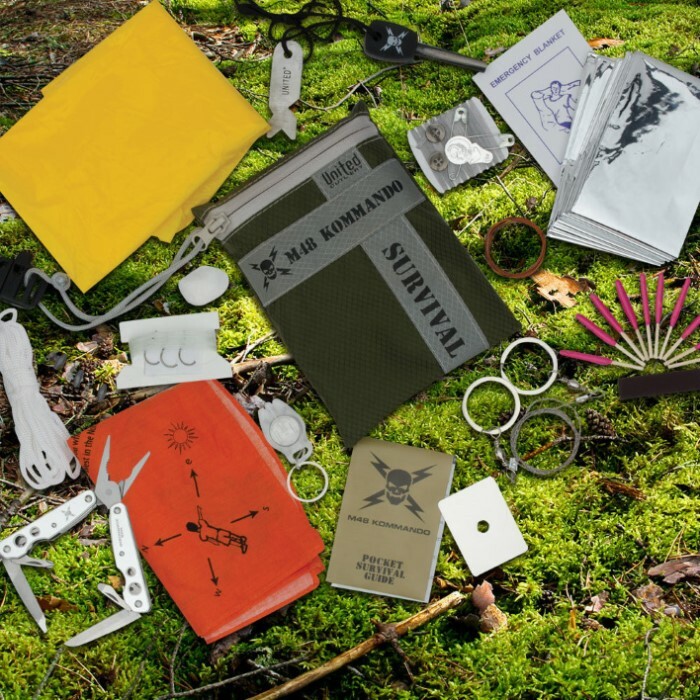 Along with an array of survival essentials, this kit also includes an Emergency Survival Manual, exclusive to M48 Kommando, full of the most important facts for survival. From water purification to shelter building and fire starting, this guide covers it all. An exclusive M48 Kommando survival bandana, which can worn or carried in a pack, also has survival information printed right on the material. The bandana is constructed of high visibility orange fabric to be seen from a distance. All 24 survival items included are packaged in a zippered waterproof ripstop bag with the M48 Kommando logo printed right on the bag. Got this,the m48 tanto knife and paracord braclet for $29.95. This kit has everything in it that the BG kit has and is $14.00 cheaper. The contents are of good quality and has the m48 mini tool, fire starter,wire saw and bandana. The knife is ok and will make a great survival spear. The paracord braclet is also good. Gave it 4 stars because the big yellow bag wouldn't fit back in the kit after unfolding. I can not say any thing but wow love it I am so ready for the zombie invasion I love SURVIVAL and this is the thing i need to survive get it.